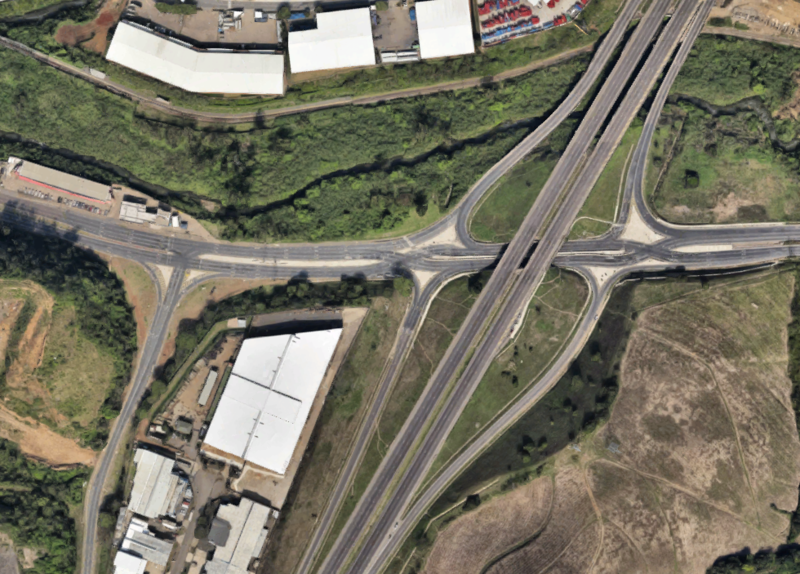 A DDI is proposed in Queensland, Australia which will be their first diverging diamond in the country! Remember that Australia drives on the left, so this will be a little different layout than in the US. What's funnier to me is the proposed layout. At left, is (AFAIK) the world's first RHD DDI, in Durban ZA. At right, is the proposed QLD DDI. Talk about curvy! Design speed is WAY too high for those ramp curves. It's a shame more of the original geometry couldn't be reused. Also interesting with the extra NB bridge to avoid the right turn at the outer road. Seems like a lot of vacant land and trees to warrant another bridge!